Within the 'Monte Carlo Simulator' there are four categories of panels, listed below, which are available to be displayed. 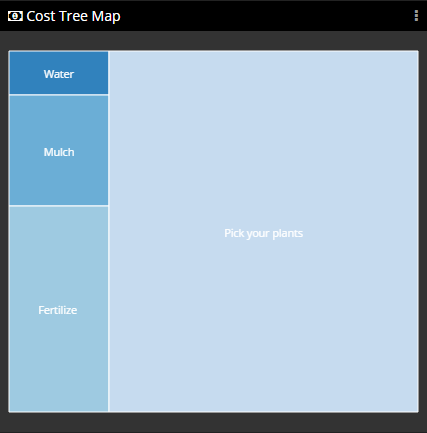 Displays a tree map of the combined total incurred costs of the simulations of the Monte Carlo run. 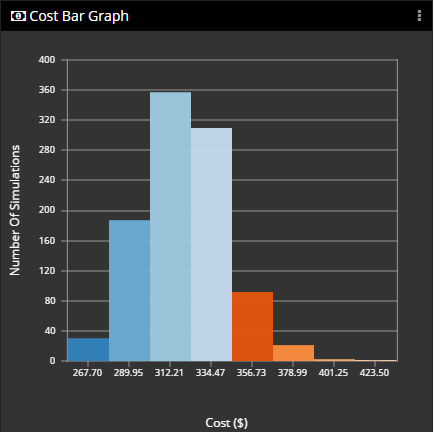 Displays a bar chart of the total incurred cost of each simulation in the Monte Carlo run. 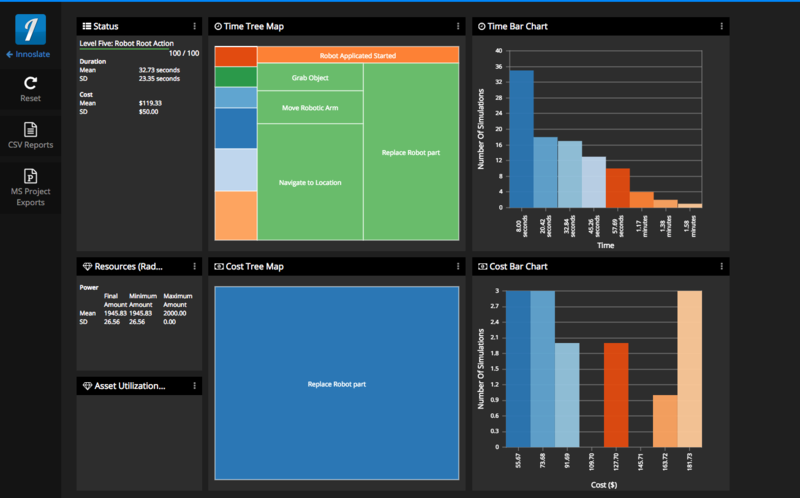 Displays a tree map of the combined total durations of actions in the simulations of the Monte Carlo run. 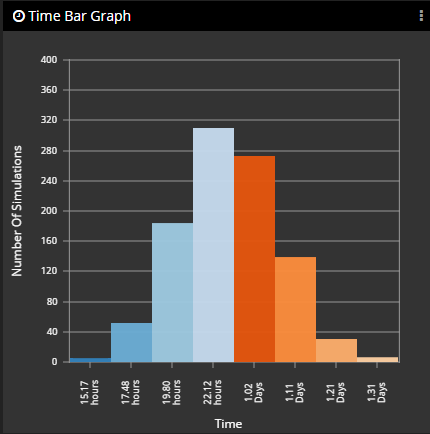 Displays a bar chart of the total duration of each simulation in the Monte Carlo run. 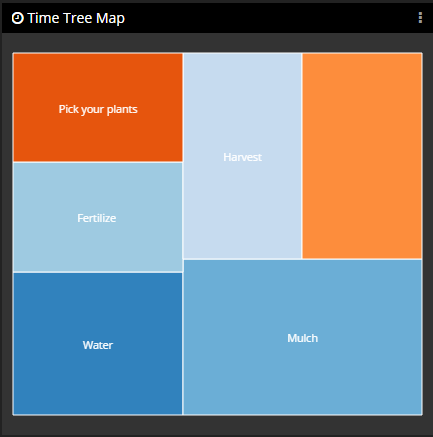 Displays a radar chart of an individual resource's minimum, maximum, and final amounts. 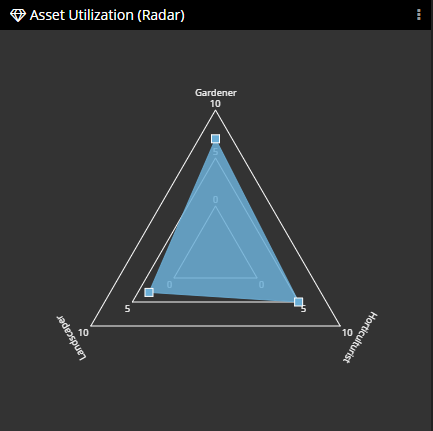 Displays a radar chart of an individual amounts of asset utilized. Displays the current number of completed simulations, average duration, and average cost. Displays a console showing all scripted print lines and detailed error information. Iterations The number of simulator iterations to run. By default, this is set to 100. Hours per year Enables simulating an average working calendar year; for example, 1860 working hours per year. Within the ‘Monte Carlo Simulator’ there are four categories of panels, listed below, which are available to be displayed. 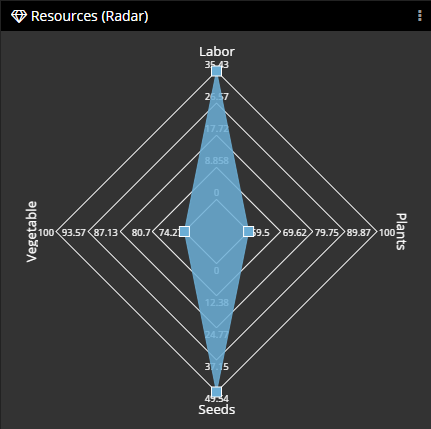 Displays a radar chart of an individual resource’s minimum, maximum, and final amounts.